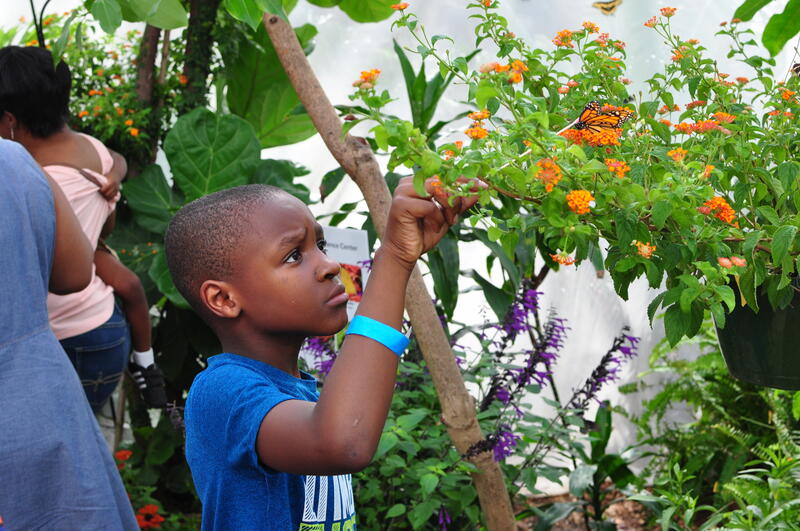 Be amazed with an up close encounter as hundreds of butterflies surround you in this butterfly adventure habitat. Tickets may be purchased online or onsite at the ticket booth in the main parking lot. They accept all major credit cards. They cannot accept credit card payments by phone. Online tickets will be emailed to you. Please print them and bring them with you, or show them on your phone at the gate. 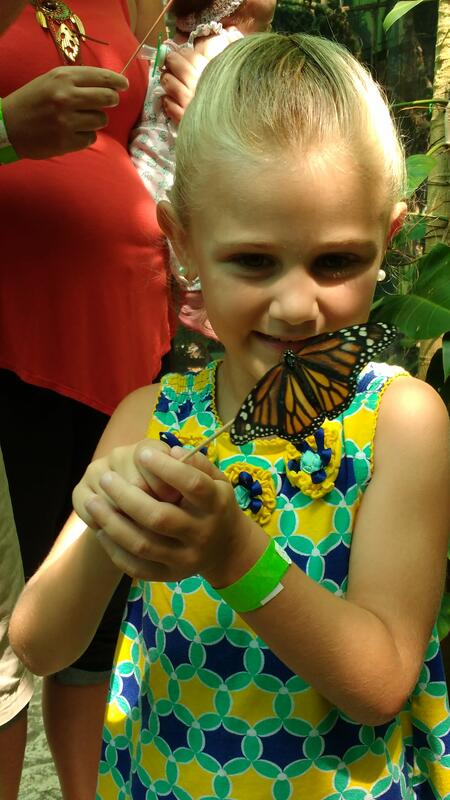 All tickets must be scanned and exchanged for a wristband for entry into the Butterfly Adventure. Pre-purchased tickets may be used on any day Tuesday through Saturday between June 11 and July 12. Tickets are valid for one entry only. Once a ticket has been scanned, it is considered redeemed and may not be used again. Tickets are not refundable. Plan for a minimum of 2 to 4 hours to do all of the activities. 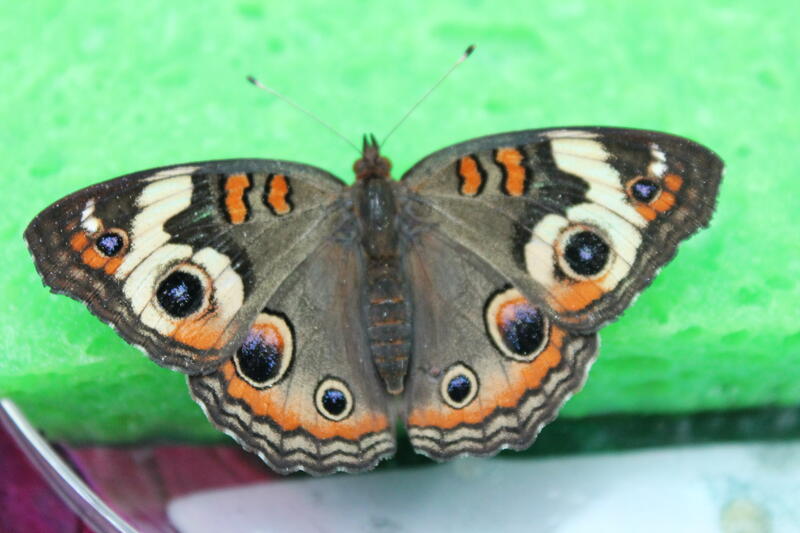 The Butterfly House is located in the tropical rainforest habitat inside Harrison Hall. 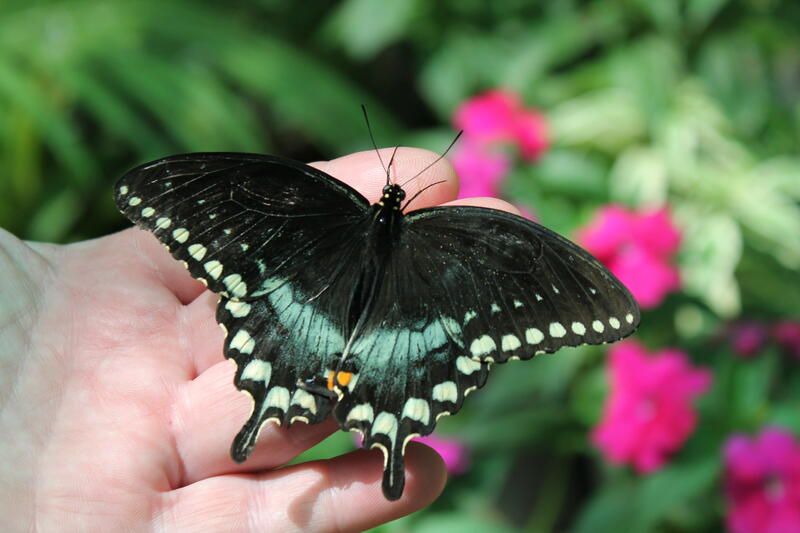 Butterflies like it toasty, so it is very warm in the exhibit. Please dress to stay cool! 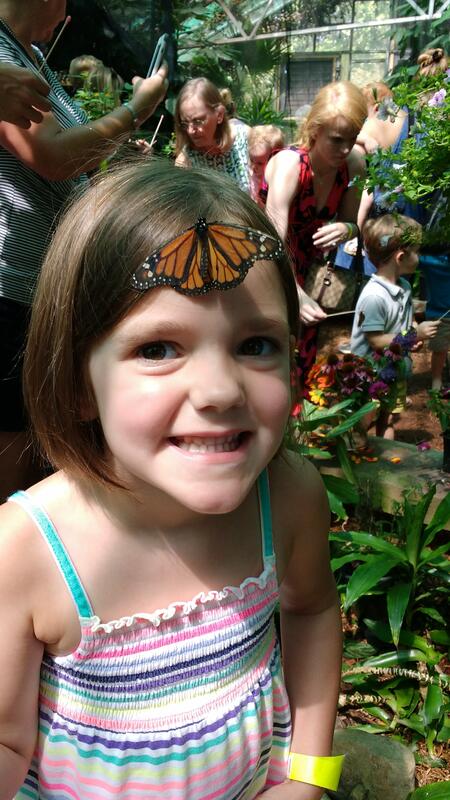 The queue for Butterfly House is outside the building and is mostly shaded, but not covered. Harrison Hall activities are all indoors; the Living History Farm is outdoors. They recommend sunscreen and/or a hat. There are water bottles available for purchase, but you’re welcome to bring your own.